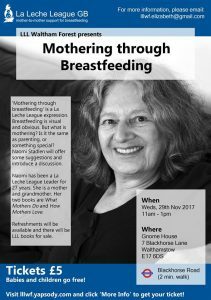 ‘Mothering through breastfeeding’ is a La Leche League expression. Breastfeeding is visual and obvious. But what is mothering? Is it the same as parenting, or something else? Naomi will offer some suggestions and introduce a discussion. Naomi Stadlen has been a La Leche League leader for 27 years. She is a mother and grandmother. 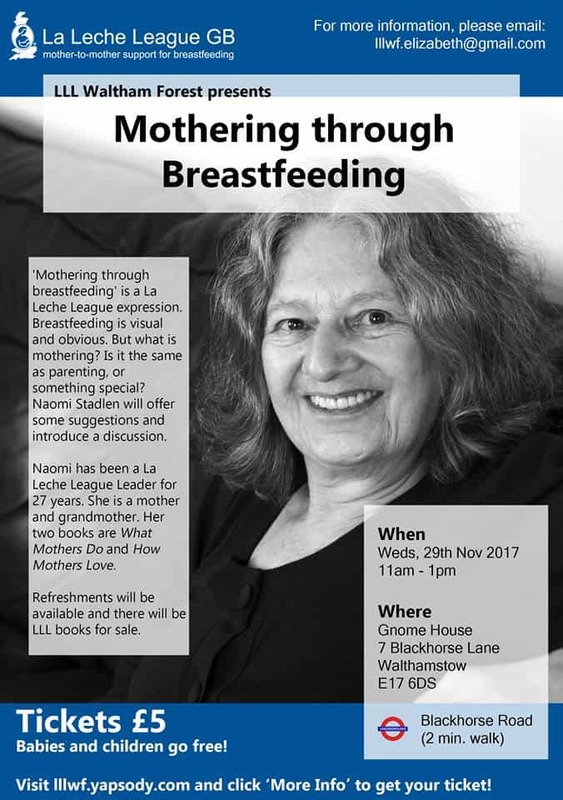 Her two books What Mothers Do (2004) and How Mothers Love (2011) have both been warmly approved by La Leche League International. 2 minutes walk from Blackhorse Road tube. Visit lllwf.yapsody.com and click ‘more info’ to get your ticket. Babies and children welcome and free. Refreshments will be available, and LLL books for sale.